Essie DJ Play That Song was purchased by me. All opinions are my own honest thoughts. 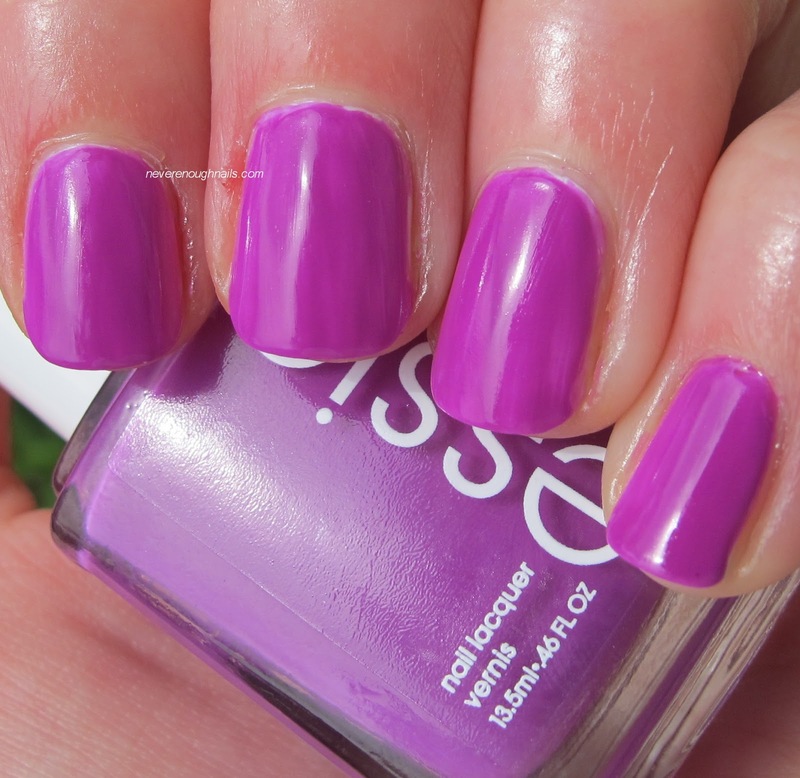 I'm trying to finish swatching some of my summer polishes, because this blog is about to turn into Fall 2013 central. I'll be getting the new fall Zoya PixieDusts soon, the Zoya Cashmeres and Satins, and OPI San Francisco too! 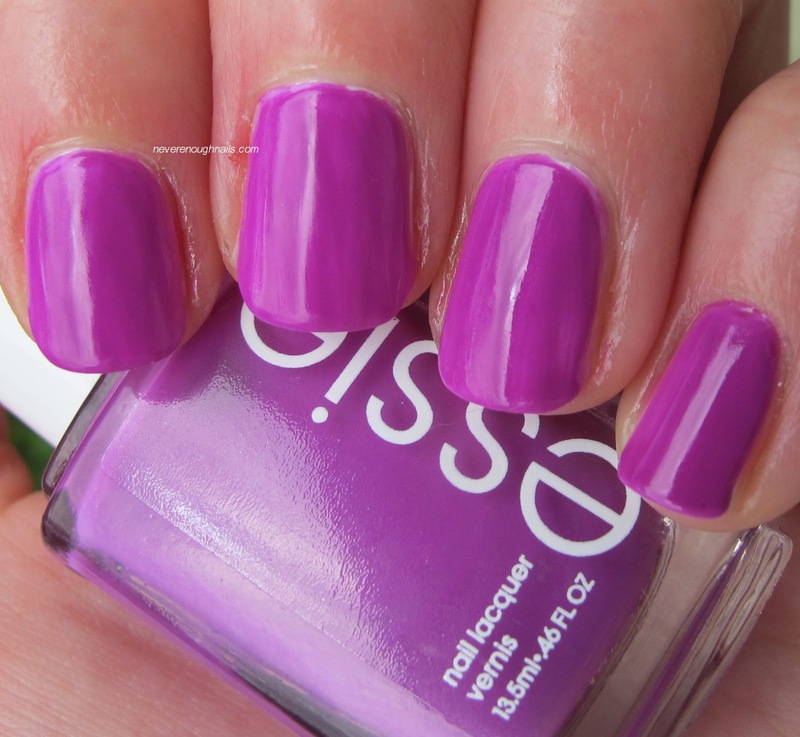 But before we get there, let's look at Essie DJ Play That Song, a bright pinky-purple from Essie's neon collection this year. I usually buy a bunch of the Essie neons each summer, but this time I only came home with DJ Play That Song. These neons need to be layered over white (Essie included a white base with the collection) and aren't very retina-searing. I prefer my neons to blind people. DJ Play That Song is a nice bright purple, even if it's not super neon, and we all know I'm a sucker for purples. For this look, I layered two coats of DJ Play That Song over two coats of OPI Alpine Snow. The first coat of DJ looked pretty uneven, but it smoothed out with the second. I have tried DJ alone with no white base and you can definitely wear it that way. 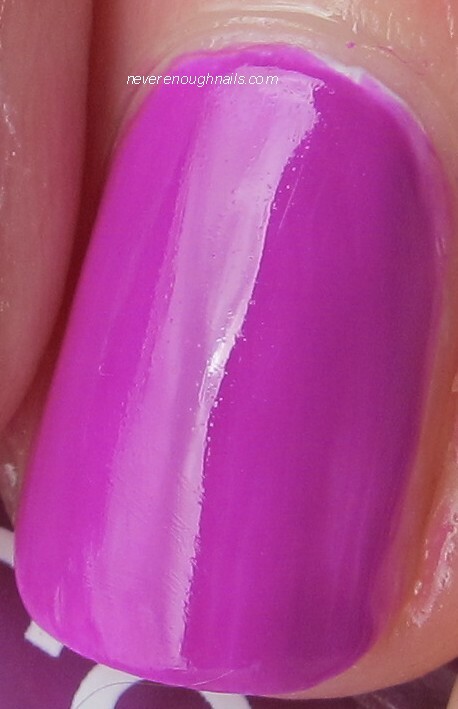 It's relatively opaque at three coats, with a tiny bit of VNL. It is definitely not as bright without a white base though. The formula is pretty good on this one, not too thick like some neons. Some people are having a problem with two of last year's neons, Camera and Action, separating, so hopefully DJ does not do that in a year. 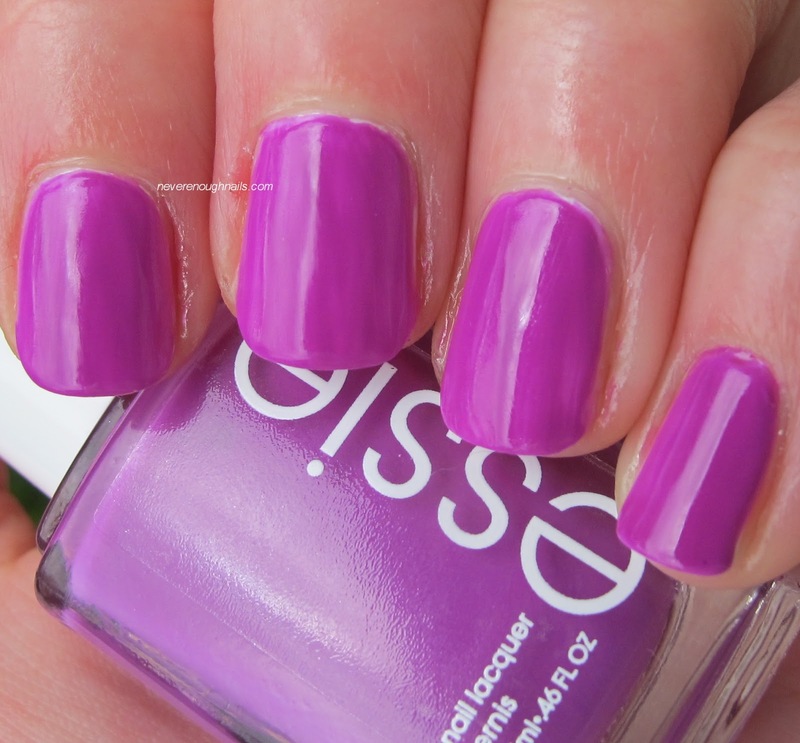 I like Essie DJ Play That Song and I'll definitely wear it. I don't feel that it is particularly unique or outstanding though, so it's skippable if you aren't a hoarder dedicated polish blogger. The Neon collection has been out for awhile, so it might be pretty picked over in your local stores. DJ Play That Song is still available at nailsupplies.us though, as is the whole Neon collection and Naughty Nauticals too!